National borders are no longer a relevant business necessity in today’s global economy. Advancement in technology and the use of the worldwide web has made data transmission and communication across the globe almost effortless. Despite this fact, many professionals do not expand their skills to be champions of change management in the global market and many entrepreneurs and businesses do not think they have the ability to be part of growing international business channels. These limiting mindsets are unfortunate because over 90% of all exporters are small businesses and over 90% of the world’s consumers reside outside of the United States. The number of multinational corporations have quadrupled over the last three decades and the net income of U.S. companies from their overseas operations have increased significantly as well. It is thus no secret that today’s professionals and business leaders must have a global mindset. I know you may be saying “I am trying to expand my career or business in the United States so I cannot afford to think about the global business market Michelle”. Well, I want you to shift your thinking because if you expect to advance your career or grow your business you will interact with people of different cultures and interact with businesses that have a global reach. For this reason, you should consider taking your career or business global. 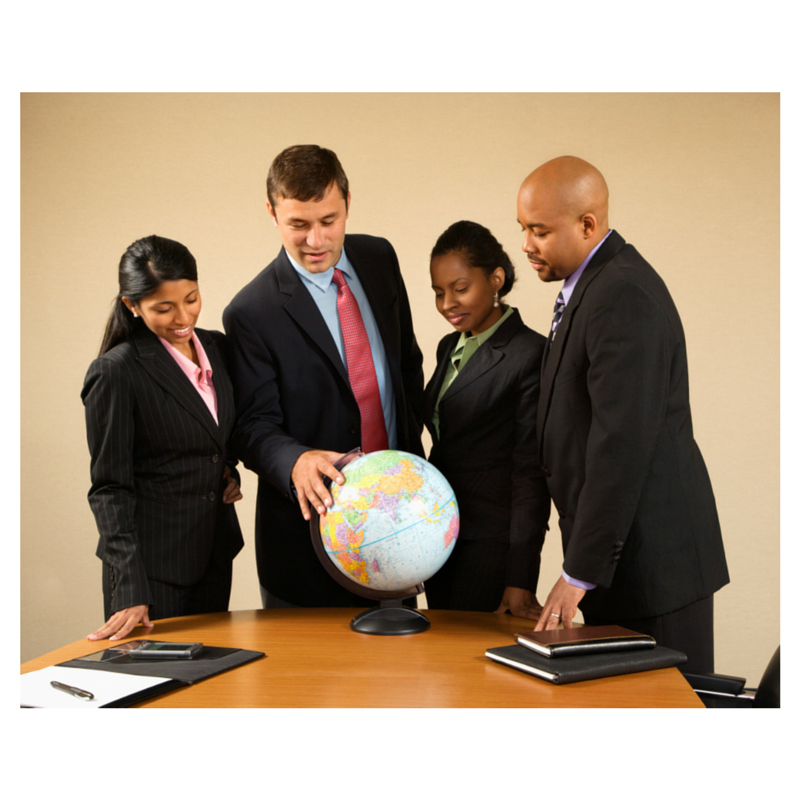 Here are some tips for taking your career or business global. You can began to learn about new cultures wherever you reside. Interact with ethnic groups other than your own. Read books about different cultures, attend events and try new restaurants focused on cultural dining. Learning about different cultures will help you cultivate a global mindset and it will help your identify countries you may want to engage in business with. Cultural dynamics impact your relationships with people and they help you understand how to be sensitive to the lifestyles of other people. Learning about other cultures also help to build bridges of communication which is essential for relationship building. Traveling overseas will provide you with an opportunity to expand your worldview. Traveling is a key aspect for engaging in international business and immersing yourself in different cultures will help you learn how to interact with different cultures from their perspectives instead of your own. During your personal and professional travels you should learn how to build a rapport with people and understand their value systems. Please make sure that you take tine to study the culture of the places where you are traveling, read news issues presented there and try to learn as much about the people groups there before and during your travels. Some of my most memorable experiences have been traveling overseas. Earning a Certification in Chinese Law was my most significant academic experience and meeting one of the attorneys that worked on the Mandela case was the most rewarding personally and professionally. If you have not taken an international trip, put it on your list of things to do. There a growing number of programs and courses that help professionals and business leaders develop a global mindset. International business seminars, courses and/or degrees will prepare you to compete in the global market. Read magazines and news article about emerging international issues and start to learn about the relations that the United States have with other countries. Learning a foreign language will almost instantly help you build a relationship with individuals that you want to do business with in another country. Even if you do not speak a foreign language fluently it is still helpful to learn a few greetings and phrases to demonstrate your willingness to learn about a culture. It is important to understand that even though English is spoken in many countries, it is honorable when you make sincere attempts to learn another language. I personal language joke is that I am “trylingual” and while people think it means I know three languages, I tell them it means I’ve tried a few languages: Spanish, Swahili, Mandarin, Russian and Arabic. However, I do not know any of these languages fluently. I tried Mandarin and Russian to learn a little of the language, I studied Swahili in college and I can write my alphabet in Arabic - a long way to go, but I am trying. I just ask that you try with me. The Small Business Association offers educational material about international business and also help U.S. business secure finances for business interested in expanding global. In addition, the The Bureau of International Information Programs provides an opportunity for people to communicate with foreigners about U.S. policies. There are many other examples that will help U.S. citizens become learn more about the global market. The points above are just a beginner’s start to taking your career or business global. Once you have taken these beginning steps for expanding your mindset global your next steps is to develop a global career or business plan that would consist of identifying the market(s) you would like to do business, building lists of local professionals, learning how to proper business communication styles of the local of your choice, and so much more. 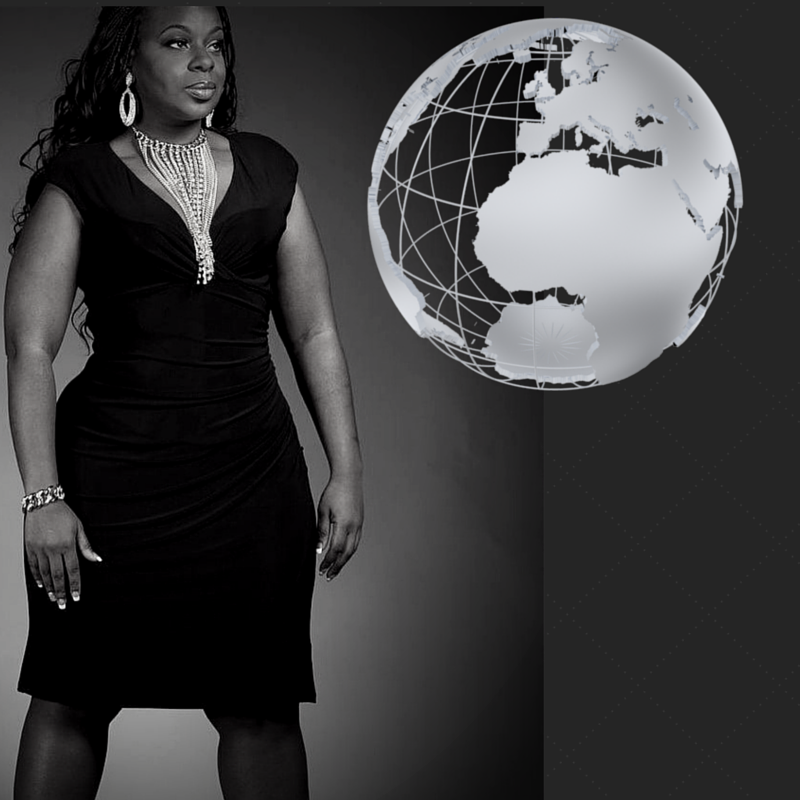 Taking your career or business global may seem overwhelming at first. However, if you make a conscience effort to “Think Global” and “Go Global” you will discover that small steps will make a large difference in your business experiences. Connect with Michelle J. Miller on Twitter @michellejmiller or on Instagram @iammichellejmiller and look out for her new and improved website later this year, MichelleJMiller.com for more information, book releases and event announcements.